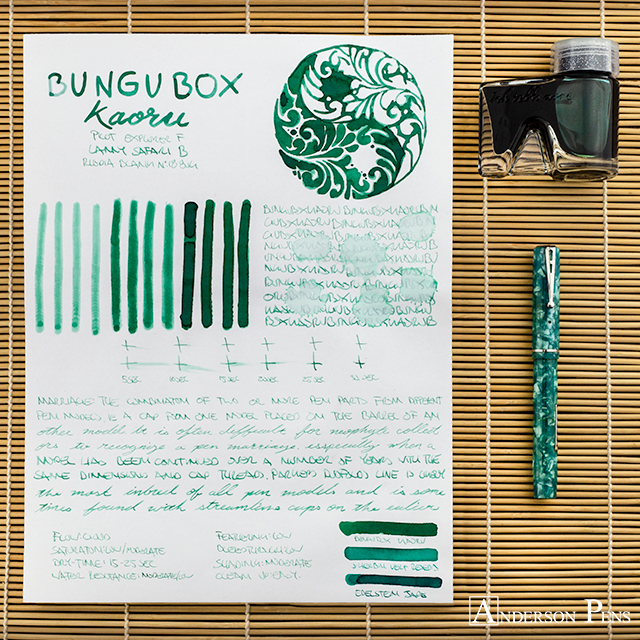 Double your fun with the minty fresh Bungubox Kaoru. 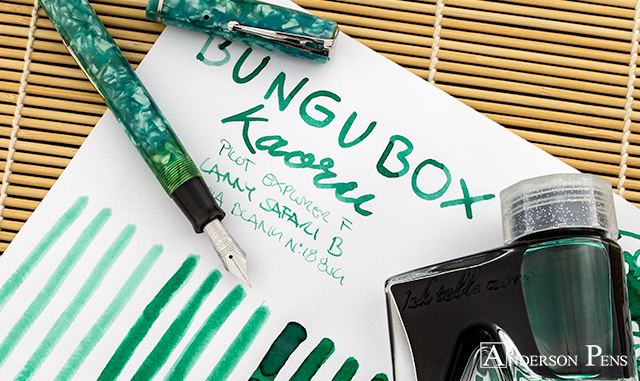 Bungubox has released their new bottle design, and with it a handful of new colors, including Kaoru. 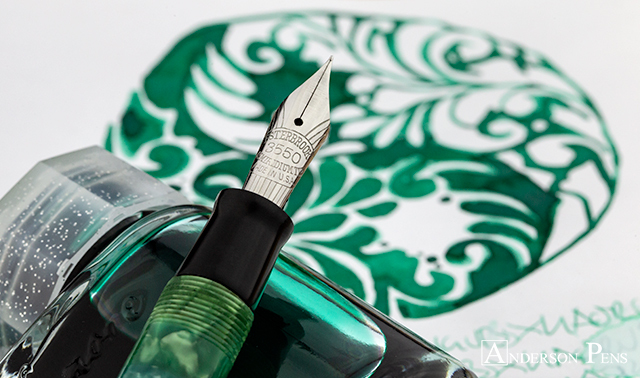 The name roughly translates to “fragrance,” and while we can’t smell it, the ink sure is sweet to the eye. 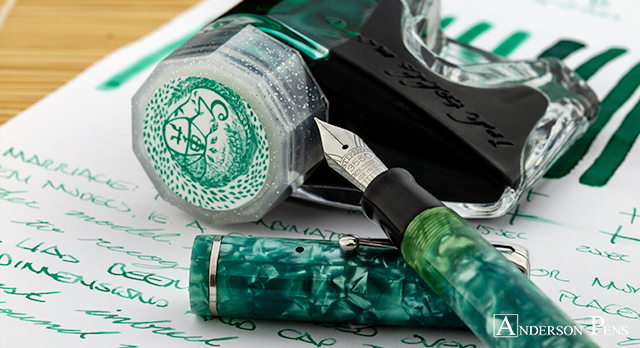 Kaoru is a minty seafoam green that is a perfect springtime color. The ink comes in Bungubox’s new 30ml glass stiletto bottle. The packaging for these new bottles is exquisite, and helps to justify the higher price. This review was done with a Pilot Explorer F, Lamy Safari B and on Rhodia blank No.18 paper. Kaoru is a pastel color that has a decent amount of shading. 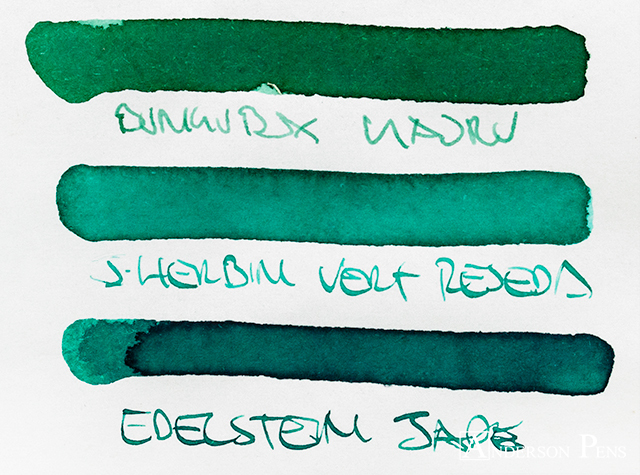 At its lightest, the ink is a faint mint turquoise. From there, it shades to a seafoam green. 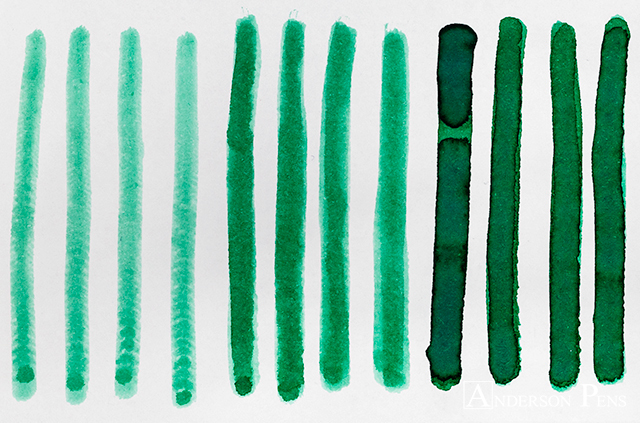 The darkest the ink gets is a fern green, but even that is on the pastel side. The ink is matte in appearance and does not display any sheen. 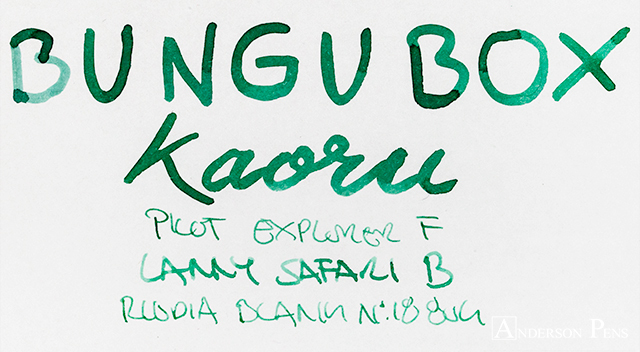 Like all Bungubox inks, Kaoru has great properties. The ink has good flow with no feathering or bleedthrough on Rhodia paper. Dry times are good at 15-25 seconds with moderate shading. 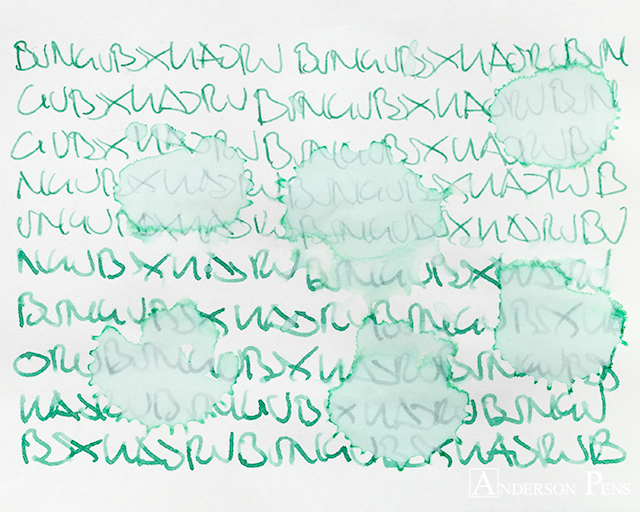 The ink has decent water resistance – a ghost of the writing is clearly visible after the water test. The ink cleans easily from the pen. Bungubox has some really unique colors in its lineup and Kaoru is a great addition. The ink is easily legible but has an ephemeral quality on the page. 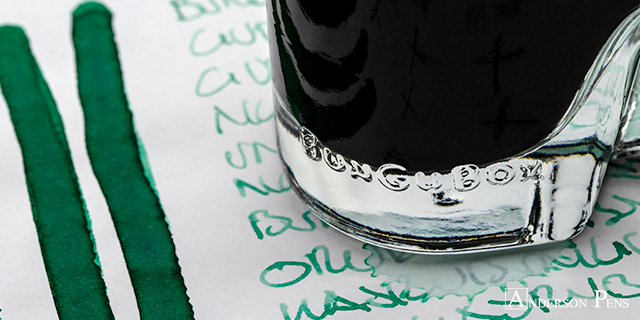 The ink has a premium price tag, but it delivers in every category. 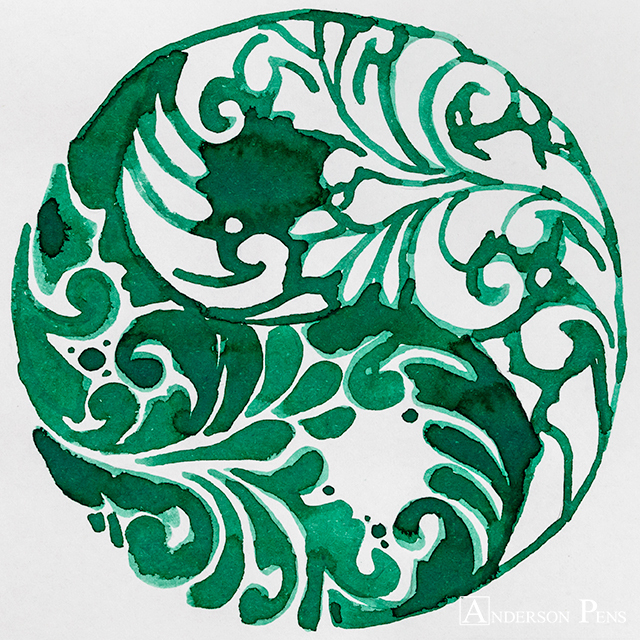 This entry was posted in Ink, Ink Reviews, thINKthursday and tagged Bungubox, Bungubox Inks, ink, ink review, thINKthursday. Bookmark the permalink.